We want to help you get to your best self. BodyWorx Vitality Inc. offers comprehensive services for the assessment and treatment of injury, disability, chronic disease, muscle and joint pain, sports rehabilitation and pelvic health. In addition, we aim to provide and promote general fitness and wellness programs and services to help improve your quality of life. Paolina Spremulli graduated with an honours degree majoring in Kinesiology and minoring in Psychology from the University of Waterloo. She then completed her Masters in Physical Therapy in 2008 from the University of Toronto. In addition to her physiotherapy manual skills, Paolina also has her certification in Acupuncture. She has also completed extensive training in the assessment and treatment of pelvic health dysfunctions in adults and pediatrics, including but not limited to incontinence, pelvic pain dysfunctions and eneuresis. Paolina has a special interest in sports and concussion rehabilitation on and off the field working on athletes part of the Vaughan Yeomen Rugby Club (Men’s, Women’s, Juniors). She is one of the executives on the board of directors for the Rugby Club. She is also an owner and certified instructor of Hourglass Workout Vaughan. Lisa Spremulli graduated with specialized honours degrees in both Kinesiology and Psychology from York University. She continued her studies with a special interest in neurology and treating neurological conditions and dysfunctions. 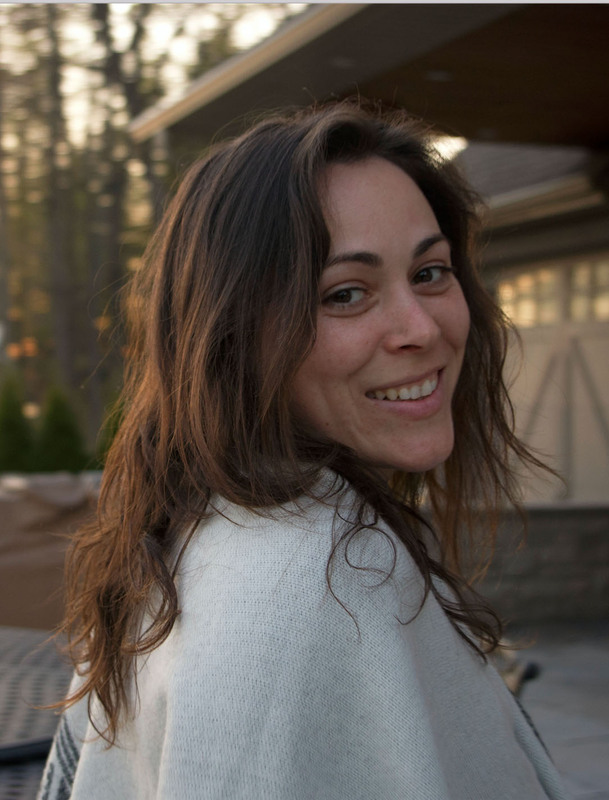 She then obtained a diploma in Massage Therapy from the Canadian College of Massage and Hydrotherapy and specializes in working with clients with musculoskeletal, neurological, structural and functional conditions and pregnancy. Lisa has been certified as a Fascial Stretch Therapist (Level 2) and is a LifeStretch instructor. She has a special interest in sports and athletic therapy rehabilitation on and off the field and in concussion rehabilitation. She is currently working with and has worked with multiple sports teams, including: Vaughan Rebels (OFC & OMFL teams) as well as a couple OVFL teams, Vaughan Yeomen Rugby and the Vaughan Azzurri Girls Soccer Teams. She has extensive training in all sports taping techniques to assist her athletes on field or clients in clinic. Lisa is also an owner and certified instructor of Hourglass Workout Vaughan and is currently working towards obtaining a Diploma in Osteopathy (DOMP). Dr. Amy Lavigne graduated from McMaster University with a B.Sc. in Biology and Psychology in 2000. She received her Doctor of Chiropractic from the Canadian Memorial Chiropractic College in 2004. After owning a busy clinic in York University for 7 years, her family moved to Calgary to enjoy the fresh mountain air. She returned to Ontario in 2015 and joined the team at BodyWorx Vitality.In addition to traditional chiropractic adjustments, Dr. Amy is also trained in low-force adjusting techniques (Activator Methods and Thompson Technique) that don’t involve the “cracking” sound that many people are uncomfortable with. She incorporates deep tissue massage, kinesiotaping, exercise, lifestyle and posture advice into her treatments to effectively treat patients of all ages and conditions. She has a special interest in kids, pregnancy, headaches and running injuries. 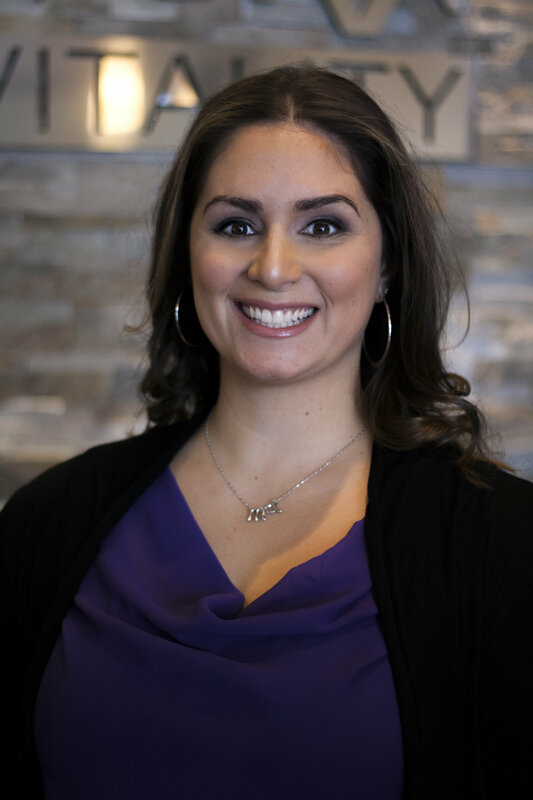 Dr. Stefanie ScainiCatallo graduated with an honours degree in Biology and Psychology from McMaster University in 2006 and received her Doctor of Chiropractic from the Canadian Memorial Chiropractic College in 2010. She has completed further training in Active Release Technique (ART®) and Graston Technique®, pediatric and pregnancy care and is Webster certified. Dr. Stefanie’s approach is to not only treat the pain but to find the root cause. She builds strong relationships with her patients and develops personal treatment plans that suit each individual’s needs and lifestyles. By combining chiropractic treatments, stability training, rehabilitation, education, nutrition and fitness, Dr. Stefanie is committed to working with her patients to achieve and maintain a pain-free, healthy, and active lifestyle. Her philosophy to health care: find the cause, treat the condition, and then rehabilitate so it doesn’t come back. Dr. Mary Caracoglia graduated in 2010 from the Canadian College of Naturopathic Medicine in Toronto. 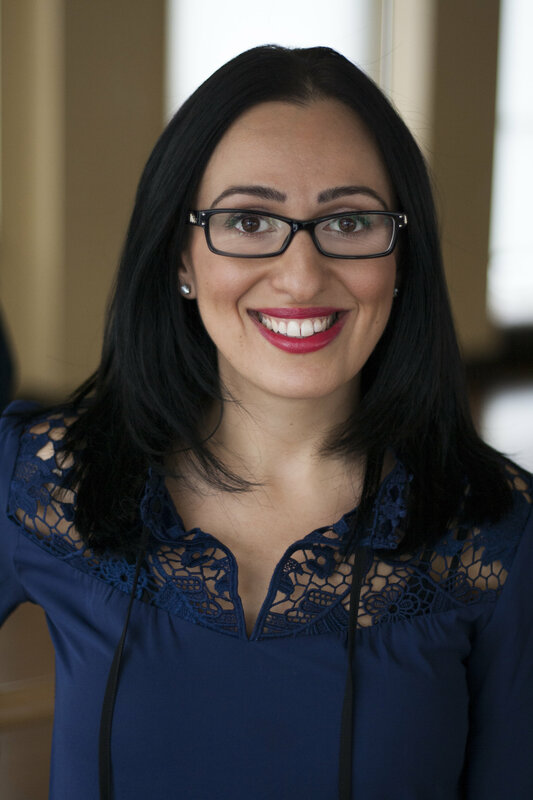 Prior to Naturopathic medical school, she completed her undergraduate studies at York University with degree specializations in Molecular Biology and Biotechnology. Dr. Caracoglia’s personal goal as a practitioner is to inspire and educate her patients to optimize their health. Nutrition and natural health supplements are utilized to assist patients to achieve their individual health goals. She has extensive experience in endocrinology (hormone balance), fertility support, autoimmune conditions and detoxification. Jennifer Luis Rego was offered a scholarship in acting from the University of Windsor. She is a spiritually-inspired musician and poet. At 17 years-of-age she was inspired after attending her very first yoga class, which became her passion. She practiced for 5 years and was accepted to Sivananda Vedanta International School in Paradise Island, Bahamas where she obtained her Teacher Training Certificate (TTC) and became a Yoga Siromani. For over a decade Jen has been teaching yoga with a unique sense of empowerment and movement inspired by peers, teachers and travelling world wide. She opened a spa and yoga studio; however, decided her calling was to travel. She went to India & Asia for 8 months in 2014/2015 where she became a level II Reiki Practitioner. She is also a certified Reflexologist, which she completed at the Ontario College of Reflexology. Javier Chimal is a certified personal trainer with over 10 years of experience in the fitness industry. He has certifications in personal training (Can Fit Pro) and pre and post rehab (American Council on Exercise). He is a mixed martial arts instructor, a certified group exercise instructor (American Council on Exercise) and a Resist-a-ball instructor. Andy Chau is a Certified Athletic Therapist CAT(C), with a functional approach to treatment. 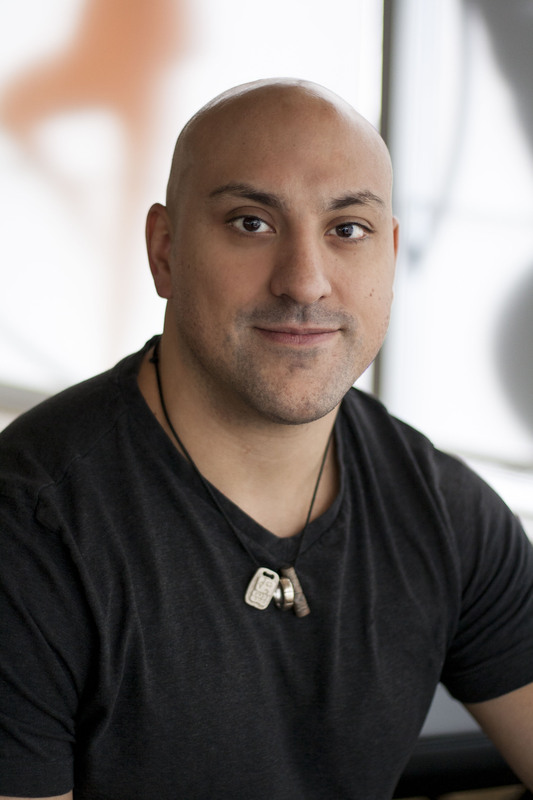 His journey began at York University where he pursued a Bachelor of Science in Kinesiology with Specialized Honours, while completing his athletic therapy certification. With his strong value of continually learning, he is currently pursuing a Diploma in Massage Therapy and Acupuncture to further add to his skill set. Andy has extensive experience working with elite level athletes during his tenure as the medical staff for the York Lions Varsity teams and the North Mississauga League 1 Soccer Club. He prides himself in his understanding of functional movement and manual therapy to get his patients back to activity and daily routines pain free, and stronger than ever! Andy fills his spare time with volleyball, soccer, resistance training, and enjoying the company of family and friends. Tristan Boccitto graduated from Humber College in April of 2016 obtaining a diploma in Massage Therapy. Throughout his schooling the biggest lesson Tristan had learned is not to chase pain. Tristan’s goal during every treatment is to find the source of where a pain is coming from in order to treat the main issue. Tristan has a high belief that with the right combination of both manual therapy and the proper exercise, everyone can get their bodies back to peak performance no matter the starting point. Tristan plans on always continuing his education and training in order to be able to provide his patients with the best possible treatment plan for their condition. Along with our support team of Kinesiologists, personal trainers and administrators, our mission is to provide our neighbours in the City of Vaughan and Greater Toronto Area with the highest quality rehabilitation, fitness and wellness services. We aim to present unique offerings in a positive environment focusing on total holistic care, from head to toe. Our clients will be empowered to remain healthy and active throughout their lives. We are committed to grow with the community and to enhance the quality of life of every individual we treat. Our facility is fully equipped to provide the best in rehabilitation, fitness and wellness services. Our facility includes private assessment and treatment rooms as well as a supervised gym including cardio and weight training equipment. Our bright and modern fitness studio is where our group fitness and rehab classes take place. Enjoy a healthy drink at our juice bar, conveniently located in the front reception area and coming soon is our hydrotherapy room. We have a complete mens and womens changerooms with lockers and showers. On your first visit, your therapist or practitioner will begin with an extensive evaluation that may include health history, evaluation of pain and movement patterns, strength, joint range of motion, reflexes, sensation and fitness and general health. You should wear clothing that is easy to move in or allows the practitioner to easily access the area you are concerned about. They will share their assessment findings with you and discuss an individualized treatment plan with you depending on your needs and goals. How do I know which services I will need? Each client receives a comprehensive assessment so your treatment plan can be tailored to your needs. Wellness is a partnership and commitment from both the practitioner and the individual. If you want to see improvement in your condition, we will help you get there. Each person and condition is different. We will discuss the length of recommended treatment after your comprehensive assessment. What payments are accepted and what is directly billed? Most services are covered by extended healthcare benefits through your employer. If you have a motor vehicle accident (MVA) claim or workplace accident (WSIB) claim, we will bill them directly.